Long-exposure photograph of a moving light and sound art installation entitled 'Chorus' by artist Ray Lee. 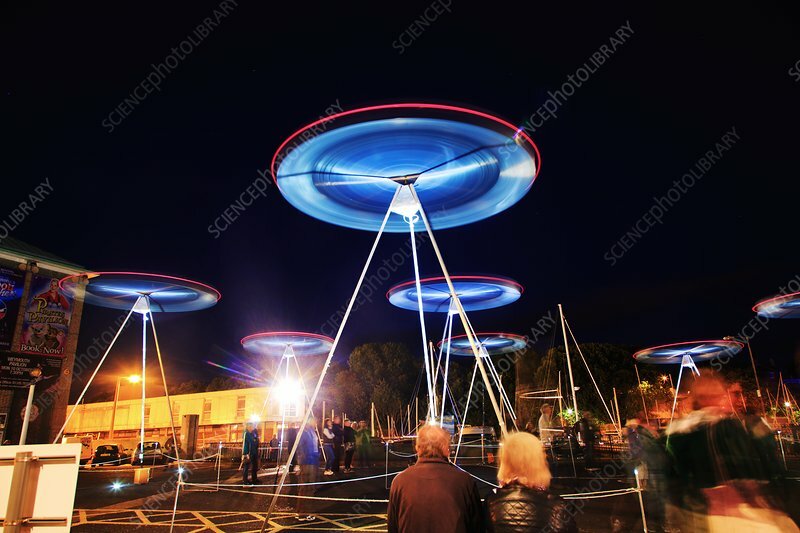 The installation consisted of large mobile sculptures with rotating loudspeakers that emit circles of light and hypnotic sounds . The long exposure time of the shot shows off the rotating loudspeakers and the light trails created by them. Photographed in Weymouth, Dorset, UK, on 19 September 2016.